How can I renew a façade? Being the façade constantly exposed to weather conditions (wind, rain, sun) after some years starts to get damaged or start to have small problems (for example the formation of cracks). Moreover, some buildings, built in the construction boom years, whose quality is not the best. After some years it is necessary to renovate the façade. No doubt, the renovation of a façade is quite an intense work. 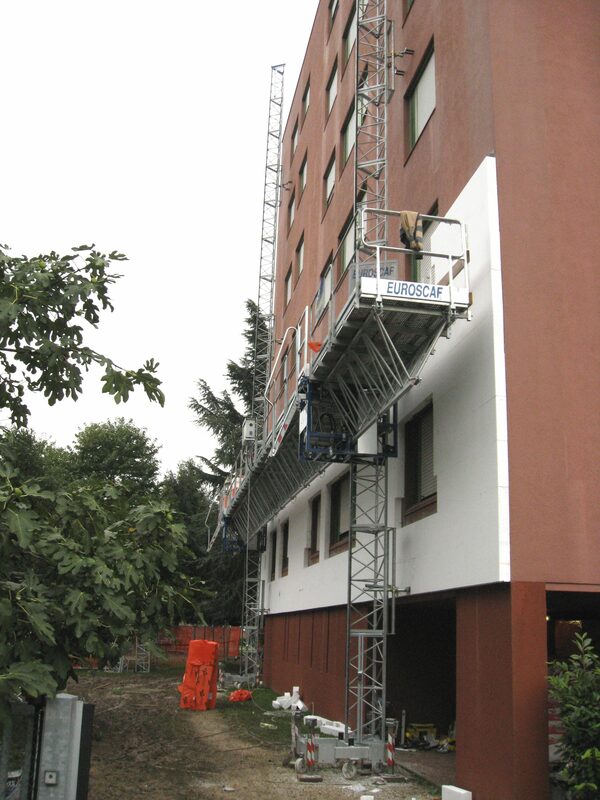 It is necessary to assemble scaffolds, or platforms and work in height (costs depend on dimensions and working time). If you are a “do it yourself” hero, pls remind that to assemble a scaffold or to use a platform you are supposed to be trained! Remind also that a Professional coming to your place to make the work is under your responsability therefore check that he is working safely. 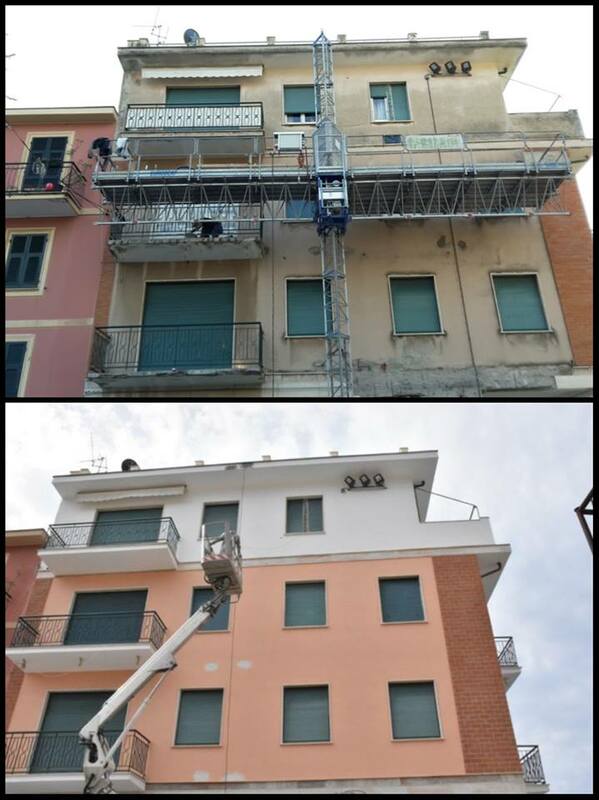 Painting or cleaning the façade : older buildings, usually have more problems and need longer operations with higher costs.The advantage at the end of the intevention will be a nicer building with an increased value. For more recent buildings usually painting is enough and works are done in a few days. Do not try to save money on the quality of the materials. Good quality materials means a long lasting renovation! Fixing cracks : each house is “alive” and the soil compactation creates cracks in the walls. External cracks make cold and humidity enter into the house. They can be a very serious problem. It is necessary to find them and seal them skillfully. Coating a façade : coating a façade today offers a variety of incredible solutions. Ceramics, marbles, glasses, aluminum panels, composed materials, steels. Insulating materials also. There are hundreds of solutions. You just have to choose the one you like it most and that better meet your budget. Gutters repairing : as time goes by gutters get clogged up or they got broken, therefore it is necessary to do something. Now there is a big choice also in gutters : steel, zinc, pvc, copper. Costs depends on the material and the aestethic result is quite different. Check in your country if there are Standards to follow to dimension gutters. Rely on a Professional could help you to solve most of the doubts and problems.